ONCHAN, Isle of Man and LAS VEGAS, April 9, 2019 /PRNewswire/ -- PokerStars, the undisputed champion of the online poker world and flagship poker brand of The Stars Group, today announced the launch of UFC-branded Spin & Go's as part of PokerStars' exclusive global partnership with UFC®, the world's premier mixed martial arts organization. PokerStars became UFC's first-ever "Official Poker Partner" at the end of last year, which is a new sponsorship category for UFC. The famous red-spade will be present on the canvas of UFC's world-famous Octagon® at UFC® 236: HOLLOWAY vs. POIRIER 2 in Atlanta, Georgia, on Saturday, April 13 and at UFC® 237: NAMAJUNAS vs. ANDRADE in Rio de Janeiro, Brazil, on Saturday, May 11, as well as all Pay-Per-View events throughout the remainder of the year. 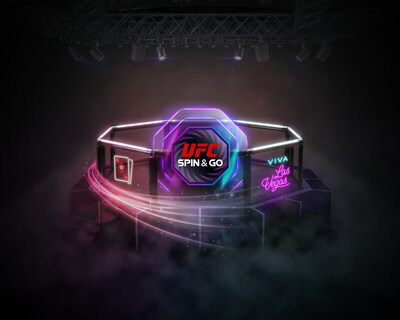 Poker fans will see UFC branding emblazon newly relaunched Spin & Go's, fast-paced, three-player poker tournaments with randomly assigned prize pools and big cash prizes for the taking. The UFC-branded Spin & Go is now live on PokerStars where, for the first time, players can play poker inside the UFC's world famous Octagon®, feel the thrill of an arena atmosphere, and win millions. But the fun won't stop there. More special UFC and PokerStars products and rewards are still to come and select UFC athletes will be announced as sponsors in the future. "It's been great to work on exciting, new and innovative ideas alongside PokerStars since our exclusive partnership went live," said Paul Asencio, UFC Senior Vice President, Global Partnerships. "UFC Spin & Go is a great example of how PokerStars are integrating our brand into their world and bringing exciting new products to our fans." "UFC is the perfect pick for PokerStars," said Christopher Coyne, Chief Marketing Officer, Stars Interactive. "UFC fans have a high propensity to engage in gaming and many of our players are fans of UFC. Our plan is to thrill as far and wide as possible with games, promotions, content and competitions that trigger passions and enhance the overall experience at PokerStars. We've so much in store. This is just the beginning." 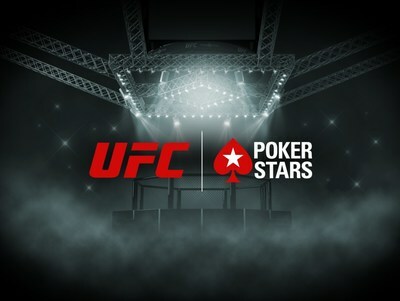 Read more about PokerStars' exclusive global partnership with UFC® at PokerStars Blog. UFC branded Spin & Go's will be available on all licenses, other than PokerStars.pt and .cz. UFC® is a premium global sports brand and the largest Pay-Per-View event provider in the world. UFC boasts 278 million fans worldwide and has produced over 460 events in 24 countries since its inception in 1993. Acquired in 2016 by global sports, entertainment and fashion leader Endeavor (formerly WME | IMG), together with strategic partners Silver Lake Partners and KKR, UFC is headquartered in Las Vegas with a network of employees around the world. UFC produces more than 40 live events annually that consistently sell out some of the most prestigious arenas around the globe, while programming is broadcast in over 165 countries and territories to one billion TV households worldwide in over 40 different languages. UFC FIGHT PASS®, the world's leading digital subscription service for combat sports, delivers exclusive live events, thousands of fights on-demand and original content to fans around the world. For more information, visit UFC.com and follow UFC at Facebook.com/UFC, Twitter, Snapchat and Instagram: @UFC.